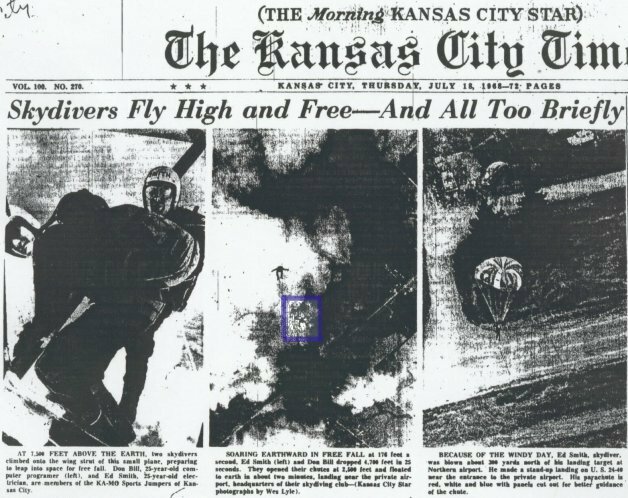 Note: Donald is the skydiver in the blue square in the second image. If you care to have this newspaper image in an even bigger size, simply email me. 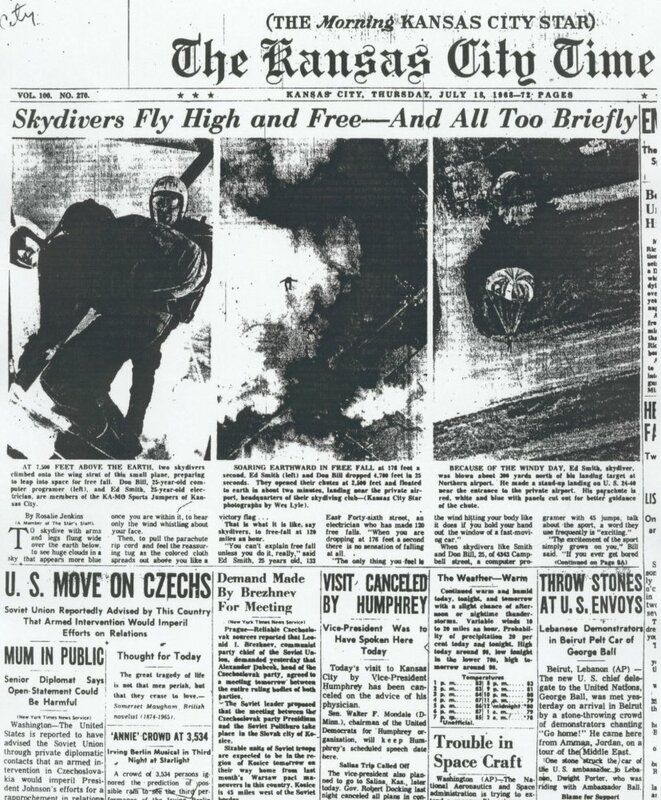 It is an excellent article, and a true piece of skydiving Americana. The Godfrey Memorial Library of Middletown, CT is a public library (maintained by your generous donations) specializing in genealogy -- It is a genealogical goldmine! Visit it today!